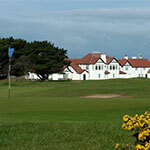 This beautiful links course, in splendid isolation on a jutting peninsula, is surrounded by the Irish Sea. 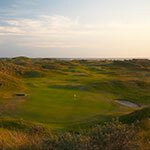 Nestling between the highest sand dunes of any links course in Ireland, its rugged beauty cannot fail to impress. Once seen – never forgotten, The Island certainly lives up to its reputation as the best kept golfing secret in Ireland! 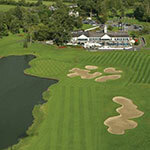 Ireland’s first Ryder Cup Venue! 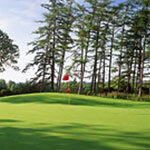 Designed by Arnold Palmer, the K Club is home to the Smurfit European Open. Ireland’s K Club has two magnificent 18 hole championship golf courses designed by Arnold Palmer, the Palmer and Smurfit courses. The site, overlooking the River Liffey, is set among 700 acres of beautiful Kildare countryside. Portmarnock is surrounded by water on three sides and laid out in serpentine fashion, with no two successive holes playing in the same direction. 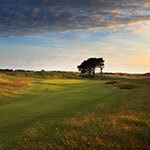 It is universally acknowledged as one of the world’s truly great links courses. 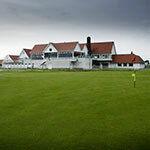 Its quality and location have made it a splendid venue for some of the game’s great events, from the British Amateur Championship of 1949, to the Canada Cup in 1960, quite apart from the 1991 Walker cup and 12 stagings of the revived Irish Open. Like Portmarnock Golf Club, Portmarnock Hotel & Golf Links is a superb links course, essentially fashioned from the same dune land as Portmarnock, it deserves its growing international reputation. 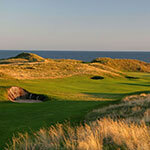 Designed by Bernhardt Langer, this east course links course has the fastest growing reputation in Links golf in Europe. A Par71 6,686 yard course that has typical Langer touches with all greens protected by rolling fairways and aprons on approach. Once described by a local journalist as a “natural unspoilt seaside territory with towering sand hills, murderous rough, and a rating of long holes that call for powerful hitting”. A Par 73 with 5 Par 5’s! 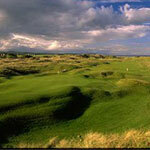 This course hosted the Nissan Irish Open in 2004. A definite inclusion in the list of great Irish links courses, Royal Dublin is Ireland’s second oldest golf club and possesses a history to match. Different to most links courses, Royal Dublin is laid out almost entirely on flat land but still represents as formidable a links test as you are likely to encounter. Designed by Mark O’Meara & Colin Montgomerie, these two championship courses could not be any different in layout, but are both tremendous golfing experiences. 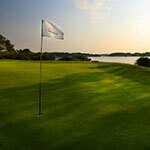 The Mark O’Meara Parkland is 7,006 yards Par72, while the Montgomerie Inland Links measures 7,310 yards in Par72. Incredible to have two outstanding golfing treasures on the same stretch of land. 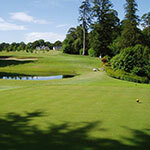 Due to the quality of the course, Mount Juliet enjoyed a meteoric rise to international recognition, hosting the first of three successive Irish Open Golf Championships in 1993. Following a hardly-needed green redevelopment plan, Mount Juliet hosted the WGC American Express Championship in 2002 – a fitting reward for a fantastic golf course. Designed by the legendary Jack Nicklaus, this 7,112 yard Par 72 Parkland is amongst the best inland courses in the world. The combination of rugged dunes, deep bunkers, sea breezes and large undulating greens, calls on the golfer to display strength of character, and to think about every single shot. The European Club is a ‘must play’ course. This relative newcomer to the Irish golf scene (founded in 1993) is ranked alongside the great Irish links of Ballybunion and Royal County Down. Druids Glen played host to the Irish Open Golf Championship from 1996 to 1999 and was voted European Golf Course of the year in 2000 at the prestigious Hertz International Travel Awards. Referred to as the “Augusta of Europe”, and nestling between the Irish Sea and the Wicklow Mountains in an area known as the “Garden of Ireland” due to its impressive beauty, Druids Glen is both technically demanding and visually appealing. Faithlegg Golf Club Situated on 200-acres in the heart of Ireland’s sunny South East, Faithlegg is the perfect inclusion as part of any golfing itinerary in the region. At a championship yardage of 6,674, distance is rarely the main problem in negotiating a good score at Faithlegg. 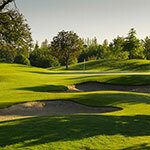 The perils of the course lie more in its clever layout and slick contoured greens.